Another recipe from Donna Hay’s No Time to Cook, my friend Sonja made this for us for dinner last year – in my kitchen, so I just got to sit back and watch! 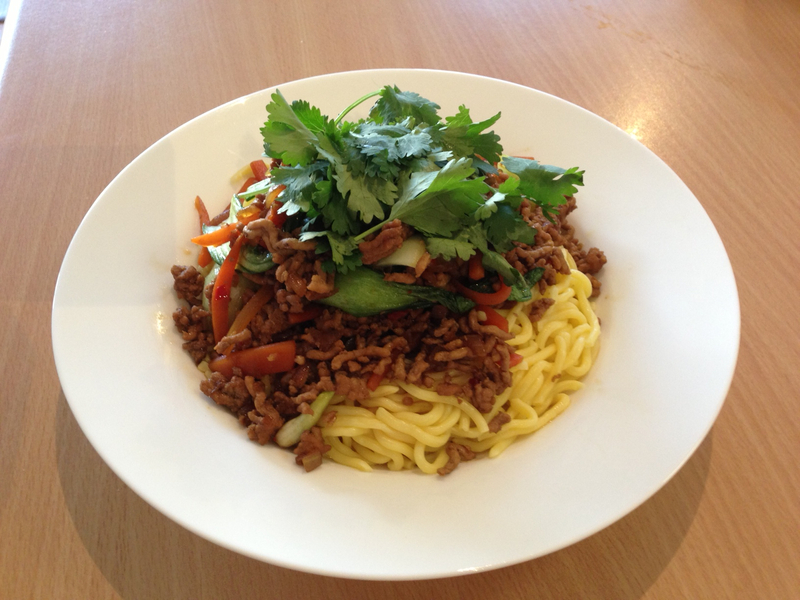 I couldn’t believe how fast and yummy the whole dish was and so was keen to give it a go myself. When left to my own devices with no recipe, I normally really struggle to cook asian food that doesn’t all taste the same, but this simple recipe gets the balance of these readily available flavours just right without any stress. This recipe feeds 4 and calls for 4 firm white fish fillets, and I couldn’t believe that the 4 HUGE Basa fillets I picked up from the deli at Coles cost $4.80. The whole meal cost less than $8 and no more than 20 mins to make. I keep coming back to this recipe for all these reasons of simplicity and affordability, but also because I always think our family should be eating more fish and my brain struggles to think of anything but tuna (which not everyone loves). 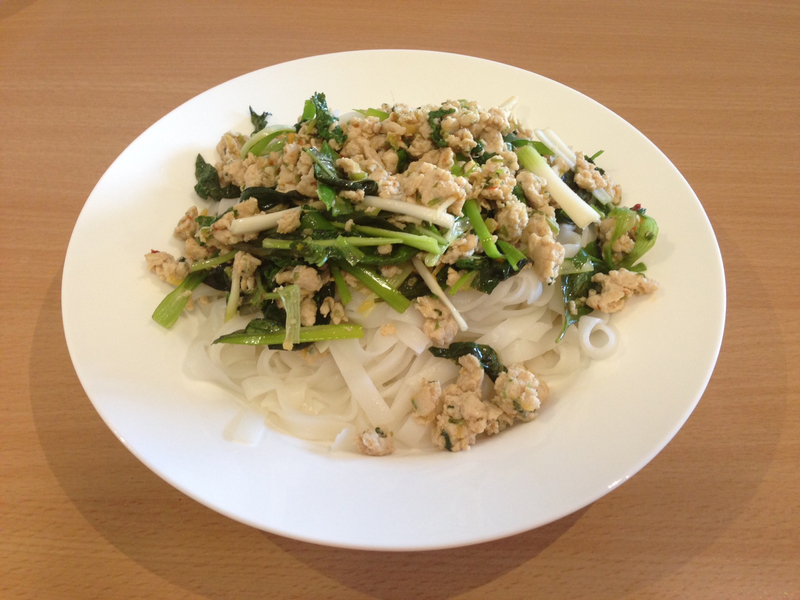 If you use gluten free rice stick noodles (such as Chang’s), this recipe is gluten and dairy free. And finally, if you don’t like much spiciness in asian food, go easy on the thai curry paste – and if you do like it spicy, go ahead and knock yourself out. 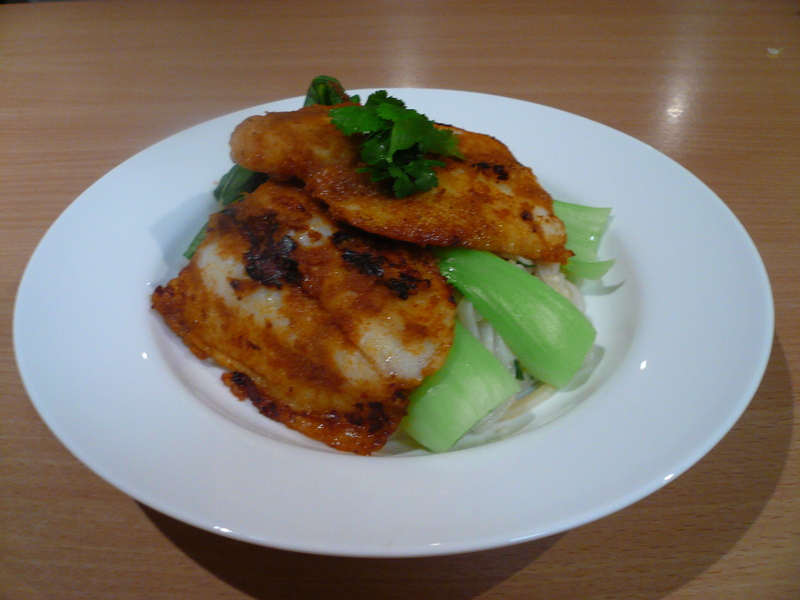 Place a medium non-stick frypan over low heat, add sesame oil, seeds, ginger, shallots and fish sauce and cook for 2-3 mins. Remove sesame mixture from pan and set aside. Wipe pan clean. 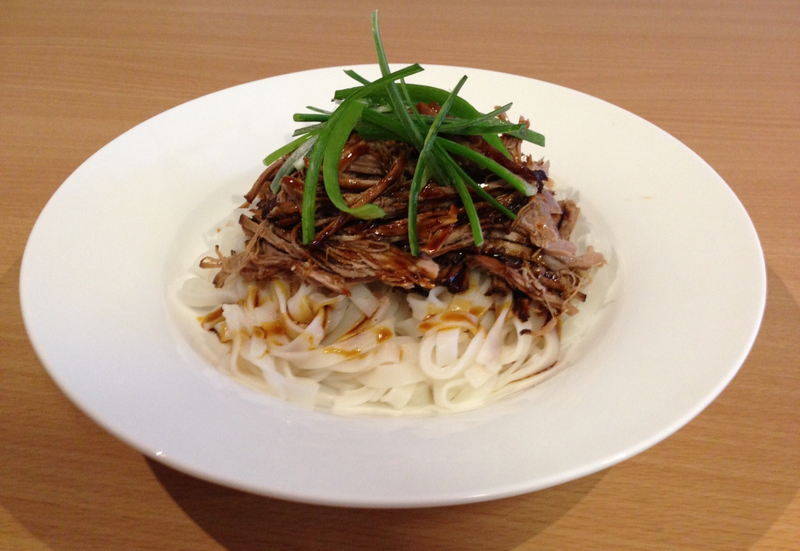 Place noodles in a heat-proof bowl, cover with boiling water for 10 mins until separated and tender. Combine curry paste and oil in a bowl and brush over both sides of the fish. Return the pan to low heat, add the fish and cook for 5 mins each side or until the fish is cooked through. Drain noodles, stir through sesame mixture and divide between plates. Top with fish and herbs to serve as well as steamed boy-choy if you’re keen.